I photographed Emery's Fresh 48 session a few weeks ago and I was so excited when her parents booked me for her Newborn session as well. Studio Newborn sessions are my favorite! I have everything I need, I know the lighting in my studio... my studio has THE best natural light and it makes everything go very smoothly. Emery did amazing. She was well fed, warm and sleepy! 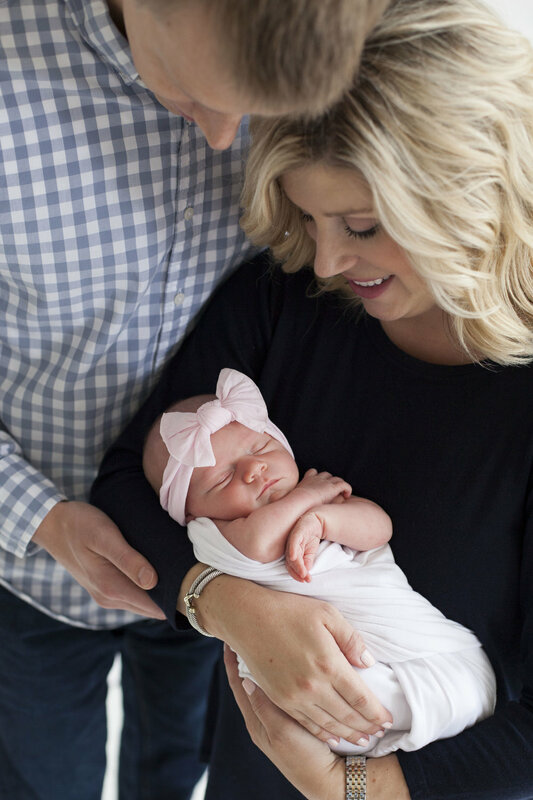 Three key elements for a good Newborn session. To book your Newborn session, either in your home or in my downtown photography studio, please contact me through my website www.sonjabphotography.com or email me at sonja.mcgill@yahoo.com. I am looking forward hearing from you and customizing your newborn session. I specialize in Newborn and Family Photography in the Greater Cincinnati area.